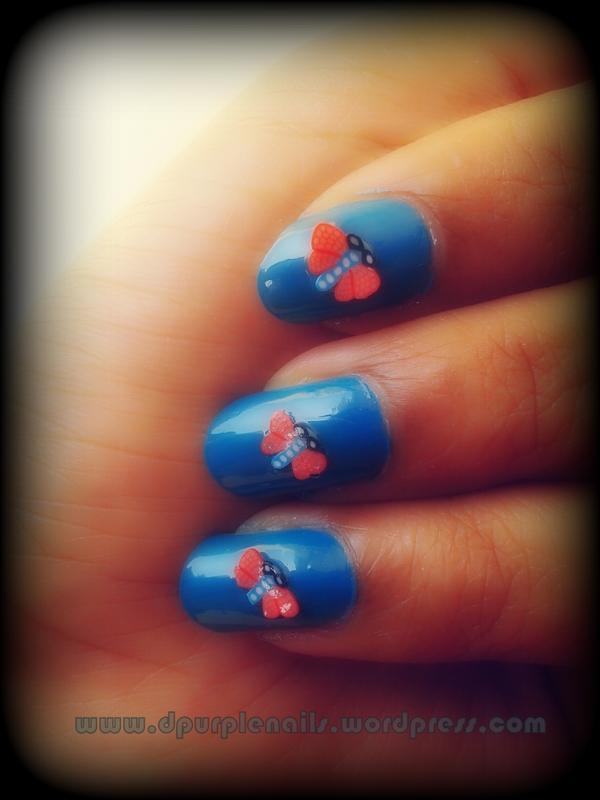 These are butterfly nails, sweet and adorable. 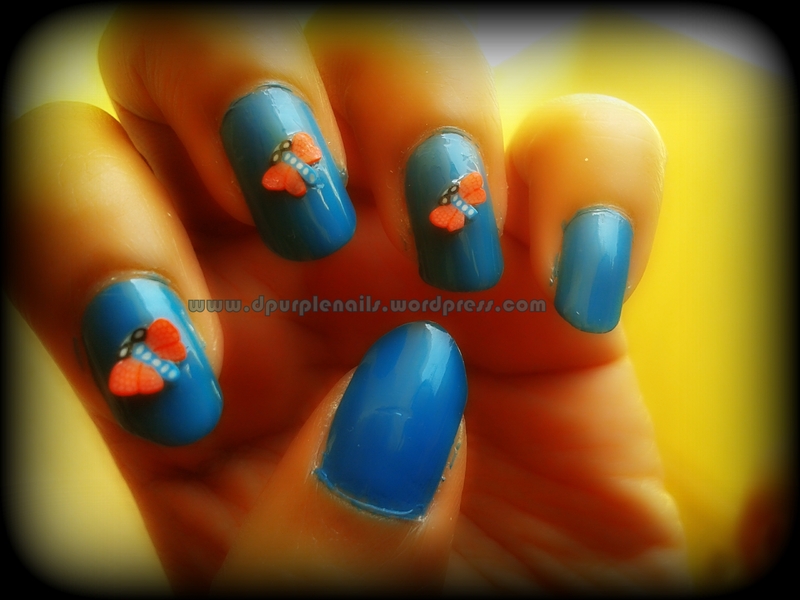 I have used new blue polish from Paris Collection called- Midnight Waves, and fimo canes butterflies. Those are ready cut and available butterfly designs I just attached them on the nails with the help of sticky gum and a top coat. If you are good at designs you can just draw butterflies with the aid of thin brushes. This red and blue combination is my favorite.